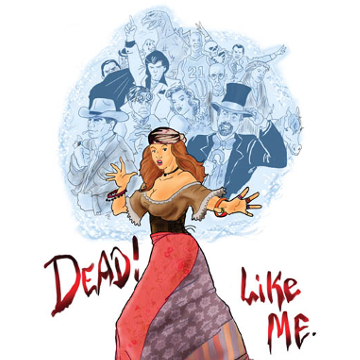 Dead Like Me | Jest Murder Mystery Co.
Because you’re dead. That’s right, and you have teleported to the land of the living for a union meeting of The Brotherhood of Obituary Occupants (BOO!). This show is for everyone already dead. That’s right. You’re a ghost,…and P. T. Barnum, who is up to his usual tricks, is trying to include you in his latest scheme! But what do you threaten a dead man with? However, someone finds a way to do him in. Who did it? The guy across the room? The lady across the table? Or,…maybe….you? Regardless, we promise you a great time at,… Dead! Like Me!